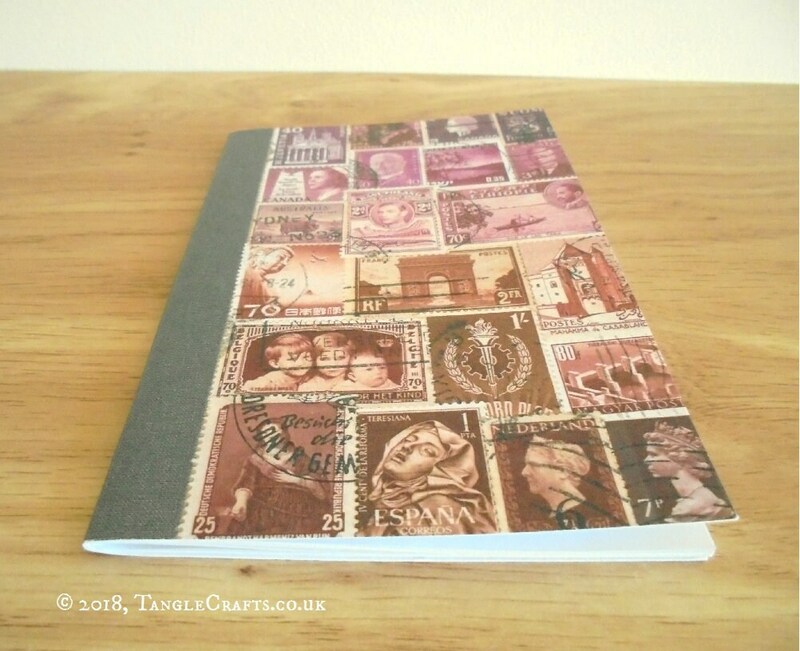 This A6-sized pocket notebook journal is printed front and back with one of my original postage stamp collage designs in a glowing skyscape of mauve pinks and purples over a shadowy, cocoa brown horizon. 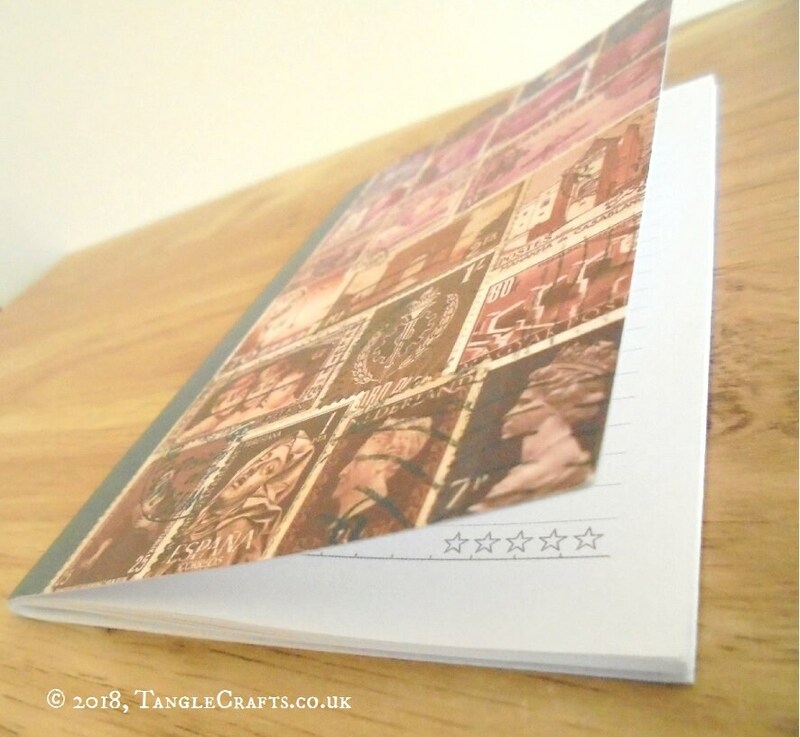 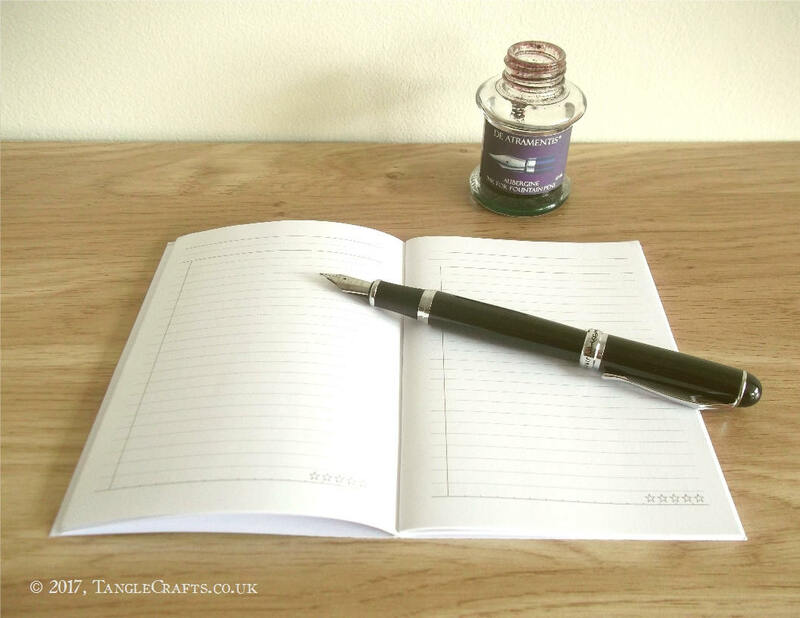 The adaptable inner page layout (also designed by TangleCrafts) makes it perfect for to-do lists, everyday notes, book reviews – almost anything you like. 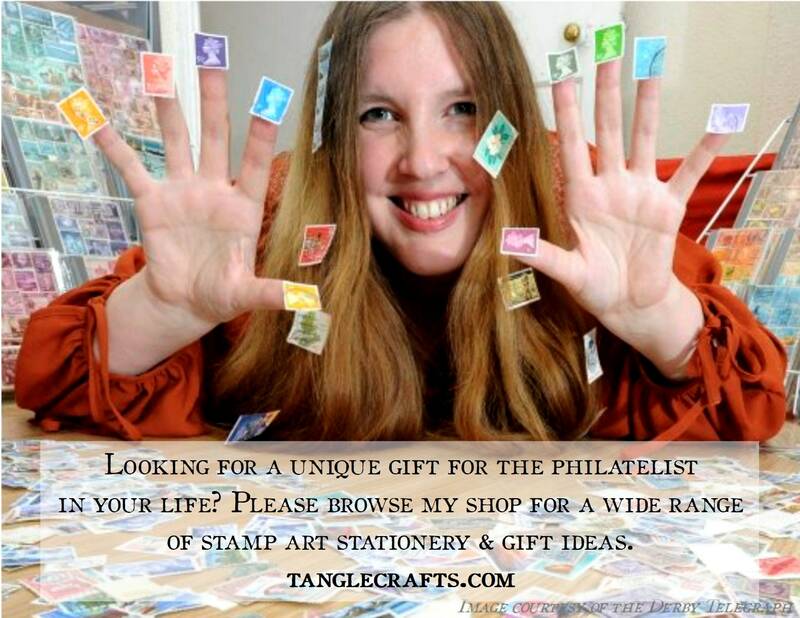 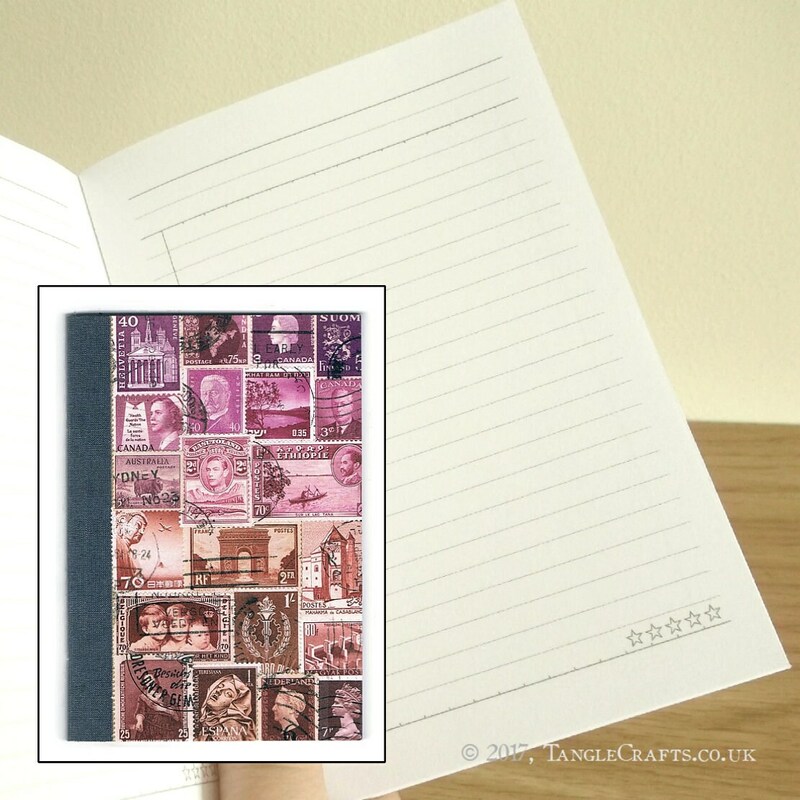 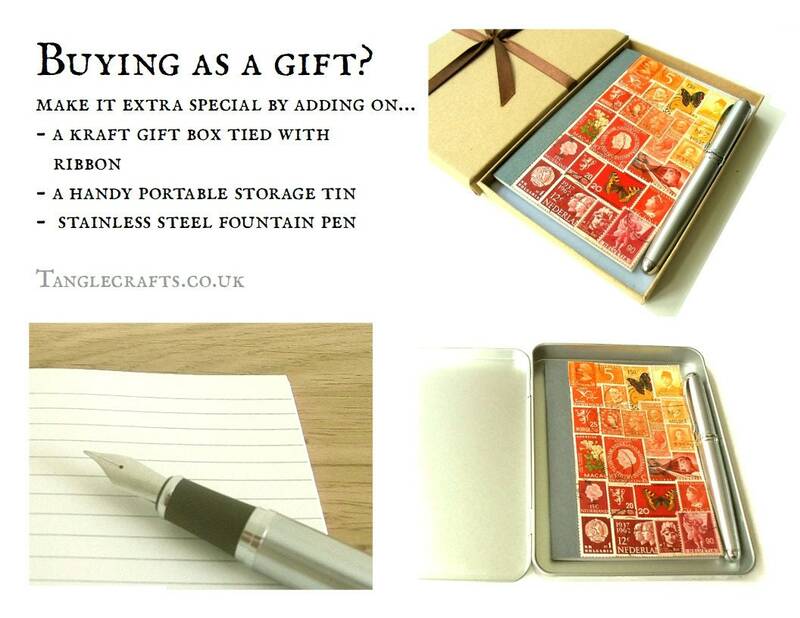 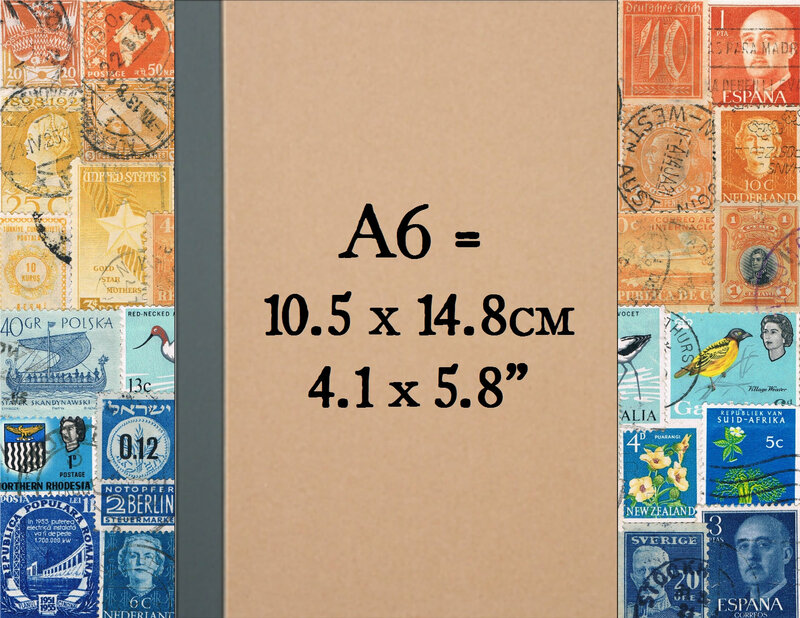 Also great as a stocking filler or fun any-time gift for your favourite penpal or philatelist!